What types of journalism internships are available? Where are the internships usually held? Interns have worked at places such as Bloomberg News, the Associated Press, The Seattle Times, The News & Observer in Raleigh, N.C., CBS, National Public Radio and The Atlanta Journal-Constitution. Must be a current student member of NABJ. Current college undergraduate and graduate students are eligible. Recent graduates within the past two years are eligible. Three references from professional journalists, professors, advisors who are familiar with your journalistic work. Print stories: Please submit clips as Microsoft Word docs, scanned jpgs or PDFs via the application form. TV packages: Please upload video to YouTube or Google Video and provide links to your work via the application form. Radio packages: Upload to mypodcast.com and submit links via the application form. Photos: Please upload JPEG photo selects to Flickr.com and create a "SET” titled "NABJ Internships” and provide a link to the SET via the application form. Or submit link to your online portfolio via the application form. Slideshows: Submit links to your work via the application form. Web Sites: Submit links to your work via the application form. Flash animation: Submit links to your work via the application form. 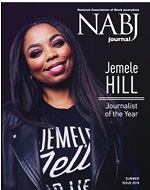 To obtain NABJ internships, students must have prior experience at collegiate or professional media that allowed them to write basic news stories for a publication or basic copy editing, graphic design or photojournalism in print, broadcast or online media. How can I maximize my chances of being selected? To have the best chance of being selected, proofread your application carefully and make sure that it thoroughly describes your journalism skills and experience. NABJ internships typically pay a weekly salary of $400 - $600 (depending on experience, location, etc.). NABJ will also offer a select number of unpaid internships. Some companies require that students have cars to cover stories throughout the city. But a lack of transportation usually does not prevent an internship assignment. 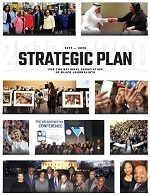 Does NABJ provide relocation assistance? No. Students are responsible for transportation to the internship city and for their living expenses. I've been offered several internship opportunities. Which one should I choose? While students are encouraged to apply to several internships, once they accept an internship, their written or verbal acceptance is considered binding. Therefore, before accepting any internship offer, you should carefully assess the offer using the guidance of professionals and educators. Application deadlines may vary. Please check each individual internship listing.